Dealerships are gaining sales success by providing a wide range of models and price options in their showroom displays for prospective customers, says Wellis distributor and Superior Spas Managing Director Rob Carlin. The hot tub and swim spa market is experiencing a purple patch at the moment with the majority of retailers gaining strong demand for their products. To help us achieve our aim of providing quality products for our Superior Spas brand we’ve secured a fantastic manufacturing deal with Wellis. I feel very fortunate to have become the exclusive UK distributor for this brand when the market is flourishing. It’s a great time to be a hot tub or swim spa retailer because there is high demand from consumers who want products of all sizes and price points. It’s been crazy this year and our sales have more than doubled compared with our 2015 figures. Like the industry as a whole, all of our dealers have recorded good sales in 2016 and I can’t believe how well it’s gone so far with the support from Wellis. I can say this company is really going places and has really impressed us with how it has enhanced our Superior Spas range of models. This new relationship has enabled us to attract leading showroom retailers that want an additional hot tub or hot tub range for their dealerships. In the past couple of years our network of dealers has expanded considerably. A number of our dealers originally supplied Superior Spas, but have also now taken on Wellis models. We are now looking to gain a presence in North Yorkshire, Lincolnshire and Essex. Retailers now want to be able to provide peace of mind to their prospective customers that the models that they are providing are from a reputable source. This is certainly the case with Wellis models. Wellis are an innovative manufacturing company that truly wants to develop its product range to increase its dealer network and enhance its share of the market. State-of-the-art technology is being incorporated into the design and production of the Wellis range, including the MicroSilk Oxygen Therapy system, which is available in a number of hot tub models now. So they will inevitably attract interest from prospective British and European customers. Retailers are now seeking out other brands to enhance their range of product options and price points in their showrooms and this is a good strategy for success. 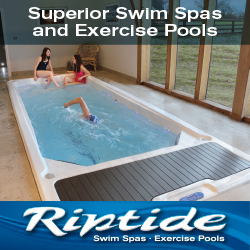 It is also important to find a supplier that is always looking to produce new hot tub options and swim spa models. You don’t want to be stuck in a rut with products that look outdated and don’t have the latest cutting-edge design features that are important to attract tech-savvy consumers. Many retailers are now following the example of leading dealerships that have expanded their showrooms or opened multiple showroom sites to help to capture additional sales. For those that don’t want to get left behind there should now be serious thought on how they can by successful in years to come by becoming a ‘showroom destination’. This can only be achieved if you have a good selection of hot tub models with various prices ranging from the entry-level to high-end price tags. As a retailer you need options because you don’t want to lose a potential sale just because your showroom is restricted for choice or you are just concentrating on one particular price bracket. By sticking to just a single brand or just one specific price point you will lose out on this sustained extra annual income. Once you gain a customer they can provide you with a sustained extra revenue stream for many years to come if you supply them with water care treatments and accessories on a regular basis, for example. Obviously you need to look after your new customers properly. As well as providing them with quality products you need to ensure that you have very good customer services in place to support them as they get used to their new hot tub or swim spa. If you provide quality products matched with high levels of customer care then you should be rewarded with satisfied owners coming back to purchase their second or third hot tub or swim spa models in the future.